I hope all of you are getting excited for the New Year, I can’t wait for a fresh start, same me though…always. I’ve had a rough couple of weeks and sometimes social media is way too overwhelming, it’s the Internet for gosh sakes, but I hate social media on holidays, when it should be humble, everyone brags and it makes me sad. I unplugged for a few days during Christmas, and it felt amazing to bake with James, and make memories with the girls! With a vacation coming around the corner I’ve be preparing non-stop! What are the top things you do before vaca?! Make sure you’re tan, packed, etc? I can’t leave the state before having a clean home and a clean car, so these were top priorities! Then, I’ve been working out like crazy, it’s been about 4 months PP (tomorrow), and I have to throw on a bikini in 6 days, yikes! But let’s remember now, a mom of two means an entire change to my body-no complaints! 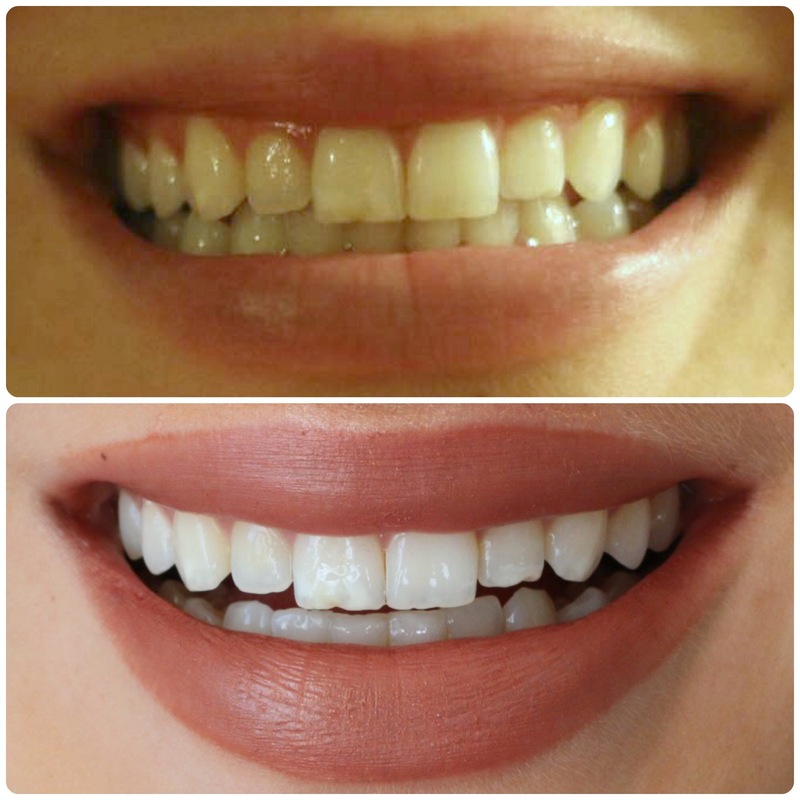 Aside from all of that, I’ve been whitening my teeth like crazy! Holidays mean red wine, and I drink coffee daily. I started using this kit to rid my stains, and let me tell you my teeth have whitened almost 4 stages in 1 month!!! A brand called Smile Brilliant sent me an amazing whitening kit! I love how personal this kit was! I was encouraged to review another brand when I was newly pregnant and unfortunately it wasn’t safe to use a UV light, and I’m so glad that opportunity failed because I’ve never been more in love with this brand!! They first send you a catalyst kit so you can mold the clay into your provided mouth pieces! Once you bite into the putty and let the mold dry, you ship your imprints back to the company. Within 5-7 days you receive your little teeth trays that fit your smile perfectly! The kit comes with whitening gels as well as desensitizing gel! First you leave your whitening on for 45mins up to 3 hours! Immediately after, you brush your teeth, then apply the desensitizing gel in your trays (after cleaning them of course). Leave the desensitizing gel on for 15 minutes! Allow the gel to absorb and do not brush after! When you order your custom trays they take into consideration whether you’d like non-sensitive VS sensitive how personal is that?! Here are a few options! ➡️ Personalize your trays! What I loooooved immediately about this brand was that customized trays came with your whitening system, this is the first time I’ve seen this, and I’m so happy I have the perfect imprints to whiten my smile. NOW time for some great news! If you’ve been looking for a whitening system but see a trillion all over social media, I feel ya! That was me! Here’s your chance to WIN a free customized kit!!!! Just enter your name and email address! How easy is that?! If you don’t win, don’t fret! Use my discount code ‘4O1FIERCE’ for 5% off! Don’t forget to head over to Instagram if you want to see my little demonstration! Good luck, and Happy New Year to all!! !